He's put pen to paper and has been busier than a one-armed bricklayer in Baghdad - Nick Cummins is writing his opus, his tome - his first book. 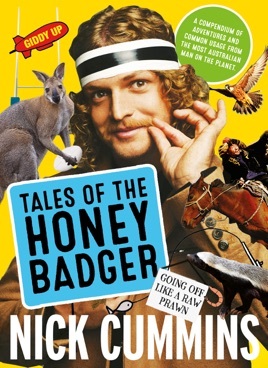 Packed with Nick's sensational sayings, ripper yarns and pure Aussie wisdom, TALES OF THE HONEY BADGER is a charming collection of short stories celebrating the importance of family, mates, rugby and getting out amongst it (i.e. seeing the world). Australian rugby union star Nick Cummins has become an Aussie sporting cult hero known the world over. 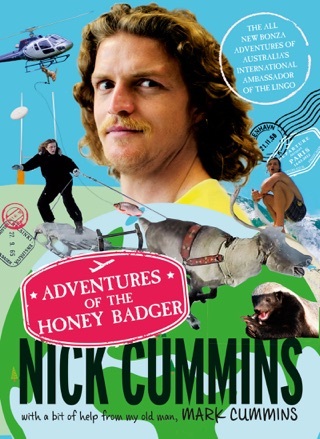 Affectionately nick-named 'the Honey Badger', Cummins' super strength, fearless approach and wholehearted never give-up attitude on the field has seen him regarded as one of the best wingers in the game today. Off the field, Nick's post-match television interviews with his colourful turn of phrase and now famous one-liners have become the stuff of legend. Oh, and never corner a Honey Badger.